That’s right– today we give you two views of leftovers. 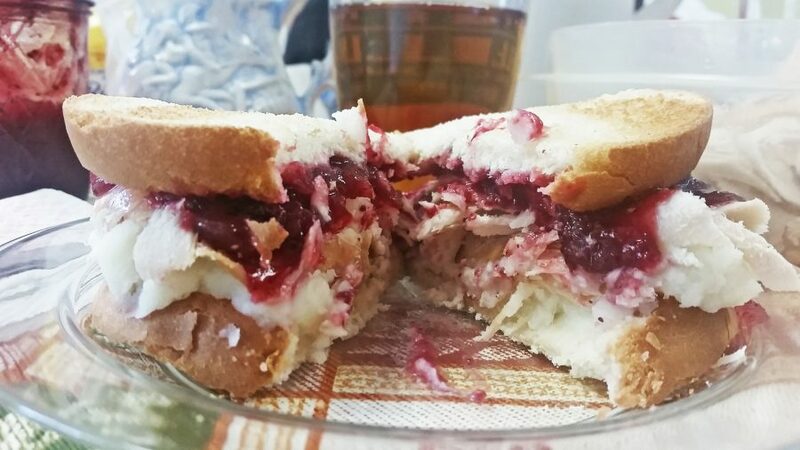 Homemade cranberry sauce finds its way atop this mountain of turkey chunks and mashed potatoes, held together by crisped white toast, which adds a nice texture to the otherwise mushy potato and cranberry. It’s a messy dish to eat, but one that’s worth exploring if you’re in the mood for a sense of thanks and appreciation for the food that makes Thanksgiving so popular. Hopefully you and yours had a great holiday!